Entrepreneurship is hard anywhere. It’s especially difficult in government where all too often agency lawyers, committees and bureaucratic procedures smother promising new ideas under reams of red tape. This makes a partnership between the National Cancer Institute (NCI), the Avon Foundation and the Center for Advancing Innovation boosting new treatments in the fight against breast cancer all the more remarkable. That this initiative was conceived and launched in a large federal agency in just a few months illustrates the difference that a few inspired people can make. A critical factor not stressed enough in technology commercialization is the need for a passionate commitment to success. Taking early stage discoveries from the lab to the market is a long, arduous, daunting journey. Without an all-consuming passion to overcome all obstacles and keep getting back up after repeatedly being knocked down, the chances of success are remote. This is hard enough at best. Yet too many times entrepreneurs in large organizations face additional cultural barriers that doom their efforts before they ever get started. Effective leaders recognize this trap, insuring that internal processes and procedures support product development, not thwart it. Immediately after the meeting our Assistant Secretary taped the list to her office door as so many of these killers of passion are common in government agencies which often emphasize adherence to process and procedures more than getting results. Entrepreneurs are soon driven out of such environments. However, when agency leaders don’t allow these killers to flourish and encourage responsible risk taking, public sector entrepreneurship can take root with remarkable speed. Here’s an example. Like many major research organizations the National Cancer Institute (part of the government’s National Institutes of Health) amassed a large portfolio of inventions over the years. NCI asked Rosemarie Truman who leads the Center for Advancing Innovation to review its patents and make recommendations for improving their licensing success rate. Rosemarie Truman is a woman on a mission. Her goal is to help systematically commercialize technologies from large, complex patent portfolios to foster high growth businesses as she did when leading IBM’s global innovation and R&D strategy practice. During her review at NCI she was struck that a significant subset of the inventions not only had commercial potential, but could be the basis for forming start-up companies. Some of the most impressive discoveries were in the field of combatting breast cancer. While many would have been content to simply report their findings and move on to the next job, Rosemarie felt that something beyond the traditional approach was needed given the seriousness of the disease—and the potential impact the NCI inventions had to alleviate human suffering. Breast cancer is the second most common form of the disease in the U.S. (after skin cancer) affecting more than 230,000 women annually. According to the American Cancer Society one in every eight women will have invasive breast cancer during her lifetime. Every year 40,000 mothers, wives and daughters lose their lives to this scourge. As Rosemarie’s grandmother and father died of cancer, this was more than business– it was personal. She thought about a new approach to get these patents off the shelf: launching an international competition for teams to develop business plans for a start-up company around some of the most promising inventions. But that would require a willingness for NCI to try something well outside the norm. From L to R: Brian Syvak, Chief Technology Officer at HHS, Mark Hurlbert, Executive Director of the Avon Foundation, Rosemarie Truman and Tom Stackhouse of NCI. Rosemarie talked the idea over with Tom Stackhouse, Associate Director of Technology Transfer at NCI. While this was a new strategy for federal agencies and there were many unanswered questions, Tom recognized that just doing the same old thing was clearly not maximizing the potential impact of the NCI portfolio. Tom had an additional incentive—his wife is a breast cancer survivor so he understands the devastating impact the disease has on a patient and her family. Rosemarie and Tom presented their idea to the NCI leadership which was impressed with the potential of the project and gave them the green light to move ahead. However, the idea would require outside funding which needed to come from an organization with similar values and mission as NCI. Rosemarie and Tom began looking for a sponsor meeting that criteria. They knew that the Avon Foundation funds breast cancer research at many universities and works with NCI fostering the development of promising treatments. Because the start-up plan competition aligned so well with the Foundation’s mission, Avon seemed like an ideal candidate. The initial discussion with their staff went well and Rosemarie was invited to present the idea to the Foundation’s board of directors. Recognizing that with one modest grant they could move so many potentially important inventions toward commercialization the Foundation signed on. Later an innovative breast cancer discovery made at Clemson University with Avon’s support was added to the list of inventions in the project. Next, Rosemarie and Tom held 184 meetings in just five weeks with potential stakeholders and experts moving from a concept to the actual formation of the Breast Cancer Startup Challenge. In October 2013 the Challenge officially launched around nine NCI patented inventions and one from Clemson ranging from a new diagnostic tool for biopsies to a vaccine using a patient’s own tumor cells to enhance the immune response. Respondents were required to select an invention and form teams that “looked like start-ups” comprised of an experienced entrepreneur involved in launching a biomedical company along with legal, business and medical/scientific experts as well as graduate or undergraduate students. Each team had to develop a ten page business plan discussing development, commercialization, and intellectual property issues along with an analysis of the market, associated risks, necessary regulatory approvals, etc. The reaction was overwhelming. Two hundred teams from around the world applied and forty six were accepted for review. In March 2014 the ten winning plans were announced at the National Cancer Institute, and you can see a video of the plans at the NCI website. Each team received $5,000 and qualified to move onto the Start-Up Phase in September where they can earn at least $100K after they license the invention from NIH or Clemson and refine their plan to secure support from the seed funds participating in the Challenge. None of this money comes from government—it’s all provided by the Avon Foundation or private investors. Eleven new companies have already been formed, five have completed their licensing negotiations with NIH, most of the new companies have secured venture funding, several have letters of intent from large drug companies and one team landed an additional $700K after winning a separate business plan competition. While it’s too early to determine the ultimate impact of the Breast Cancer Startup Challenge it’s a promising market driven blue print for moving more technologies from the federal laboratories into the marketplace. The White House praised the Challenge as an innovative model accelerating the commercialization of taxpayer funded research breakthroughs. At its best, the United States shows what can happen when passionate people seize an opportunity to make a difference regardless of the obstacles in their path. 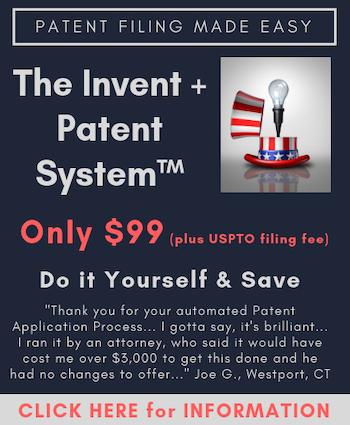 A patent owner who overcame more than his share of difficulties once said: “Determine that the thing can and shall be done, and then we shall find the way.”Abraham Lincoln knew what he was talking about. The story of the Breast Cancer Startup Challenge shows that his formula works, even in government agencies when innovation is encouraged— and the killers of passion held at bay.